From Phuket to Pago Pago, more far-flung, exotic destinations are working to attract more cruise ships to boost tourism. 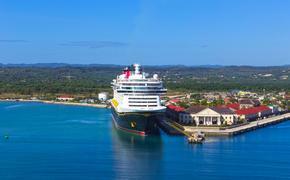 In recent weeks, a variety of destinations have unveiled cruise development strategies designed to grow tourism without having to rely on airlines to bring in travelers. American Samoa, for one, wants to bring 25 cruise ships a year by 2021 to the Port of Pago Pago — who wouldn’t want to check that one off the bucket list? The Marianas Variety newspaper reports that a public-private task force wrote up an economic development plan that recommends the American Samoa Visitors Bureau work to foster “strong cruise ship partner relationships.” Other suggestions include developing experiences to appeal to cruise passengers, such as reviving a cable car to Mount Alava and organizing excursions for deep-sea diving and snorkeling in the South Pacific. Also recommended: prettying up the cruise ship dock. Currently, passengers ships dock where cargo containers are staged, the newspaper reported. Meanwhile, Phuket, that lovely Thai island in the Andaman Sea, is aiming to become a “world-class hub for yachts and cruise boats,” according to the governor, with a multi-million-baht harbor expansion. The expansion could also help make Phuket the main port of call between Singapore and Myanmar, the Phuket Gazette reports. The harbor expansion received environmental approval in late January, according to the Phuket News, removing the main hurdle to the project moving forward. Now maybe Phuket can move ahead with its goal of becoming the “Riviera of Asia” for cruise ships. Meanwhile, the Solomon Islands in the South Pacific Ocean, expects to receive 24 cruise ships this year, a 60 percent increase in passenger traffic over 2014, Radio New Zealand reports. Josefa Tuamotu, the chief executive of the Solomon Islands Visitors Bureau, told the station that the government is ramping up tourism development. Cruise lines are welcome, especially expedition ships. Another South Pacific nation, Tonga, expects 18 cruise ships in 2015 to Vava’u and Nuku’alofa, a sizeable increase. In fact, on Feb. 24, two ships carrying 3,000 passengers will call at Nuku’alofa. Tonga Tourism General Manager Stuart Perry said that the cruise traffic will boost the economy. “So this is a good opportunity for the Kingdom to showcase the culture and tradition,” he said, according to Tonga Daily News. A recent survey found that 38.6 percent of all cruise passengers visiting Tonga are from Australia, 22.7 percent are from Europe, 21.5 percent are from the U.S., and 11.8 percent are from New Zealand, the newspaper reported. 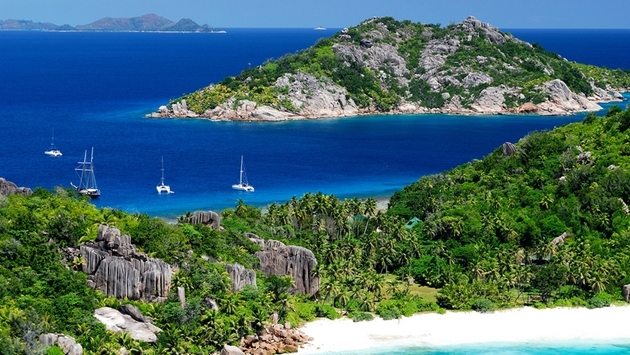 And finally, in another corner of the world, off the coast of Africa in the Indian Ocean, the Seychelles also wants more cruise business. Alain St.Ange, the Seychelles Minister for Tourism and Culture, visited Costa’s neoClassica when it called last month and said he wants to develop closer relationships with cruise companies, according to eturbonews. St.Ange said cruise liners are vital to boosting the tourism industry, the news site reported.